When it comes to increasing student motivation and success in writing, classroom talk is a powerful tool. More than simply providing assessment data for predetermined standards, talking with our students builds relationships and a community where students rely on one another—not just their teacher—for advice, affirmation, and support. Let's Talk is packed with real classroom examples and stories to help educators make conferences more manageable and meaningful. 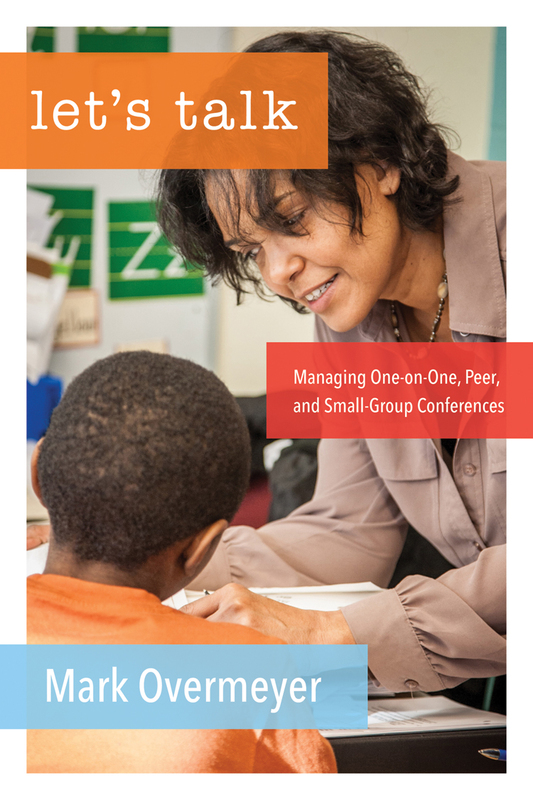 Organized by types of conferences, Let's Talk distinguishes between teacher-student talk—which covers one-on-one, small-group, and whole-class conferences—and student-student talk—which includes one-on-one and group peer conferences. In addition to addressing the challenges and needs of teachers, coaches, principals, and staff developers in the elementary and middle level grades, Mark Overmeyer also focuses on how to work with English language learners. Throughout the book, Mark describes how classroom talk benefits students in a variety of ways, from discovering their interests and backgrounds as writers to helping them develop the language to reflect on their writing progress.